From Studio F/X website "Final Seal keeps makeup in place, even when performers perspire heavily. Apply pre-makeup to retard perspiration, and over any completed makeup for a smudge-proof finish. Adds durability to air-brushed Liquid Paints. Alcohol-based with fresh mint scent. Use in well-ventilated area." Ben Nye Final Seal comes in 4 sizes the smallest size is 1 fl.oz, 2 fl.oz, 8 fl.oz, 16 fl.oz. I bought the 2 fl.oz which is 59 ml. It says on the Studio F/X website to expect 20 to 50 applications per ounce. "Final Seal provides a waterproof, matte top coat for most types of make-up," is what it says on the Ben Nye bottle. I was very impressed with this product you only need 1 to 2 sprays hold the bottle 8 to 10 inches from face and spray. Your to spray lightly which is why I recommend only 1 to 2 sprays of this product because it does say on the bottle to "avoid saturation" or you can spray once and wait for the product to dry then spray again if you feel you need too. This setting spray really did a good job at keeping my face matte. At the end of the day my face didn't look or feel too oily. The only place I did have a bit of shine was on my nose. I used my Eden primer from Urban Decay on one of the days I was testing Final Seal because for me Urban Decay's primer in Eden always creases. Ben Nye Final Seal did a good job at keeping my eye make-up in place for a good part of my day, however my eye make-up did crease by the end of my day but it lasted a lot longer than it does when I didn't use Final Seal. Overall I really like this setting spray, it also does have a strong minty smell to it which doesn't last once the spray dries. It's hard to find a place that would ship Ben Nye liquid products to Canada. The online store I purchased Ben Nye Banana Powder only ships Ben Nye liquid products within the US, but I did find two Canadian site that carries Ben Nye. One which is the company I purchased Final Seal from at IMATS called Kind of Magic and the other company I found was Studio F/X. Kind of Magic only sells 2 sizes and Studio FX sells all 4 sizes. 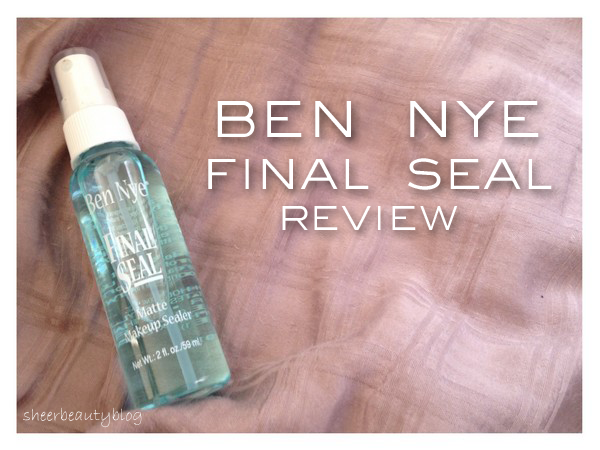 Have you tried Ben Nye Final Seal? This looks like a very interesting product for me. I'm always on the hunt to control my oily skin. Great review! Thanks for sharing. Hard to find something affordable and functional nowadays. I don't use hair products much, but will look out for this one from now on. Have a nice day. 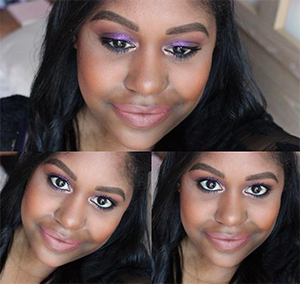 I use an urban decay setting spray but this sounds great! I haven't tried any products from ben nye, but I really want to try this and the banana powder! I've never used anything from ben nye but all I hear is amazing things! 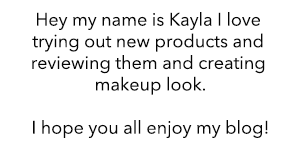 So jealous you get to go to IMATS! They dont come close to me ;( But I do like the idea of this setting spray having a bit of a minty smell! Sounds fresh, most setting sprays dont have an aroma. I don't have this one atm, I have the Liqui Set. I wanted this one, but the vendor had said if I was using it for the eye area, it would be better. But Final Seal does set everything long than Liquiset for me.